SKU: N/A. Category: Courses. Tags: big data training in bangalore, Hadoop admin certification training, hadoop admin training in bangalore, Hadoop Training in bangalore, Learn hadoop online. 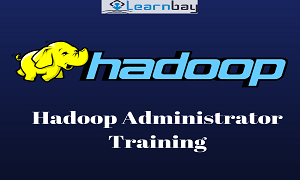 Learnbay provides best Hadoop admin certification Training in Bangalore with real time use-cases and project.Our Hadoop Course helps you to gain expertise and learn how to maintain large hadoop clusters,install configure and maintain using real time use cases. Those who want to become master in Big Data Administration. We Provide Hadoop training Online and classroom with 60% theory and 40% hands on,Practice ,Assignment.